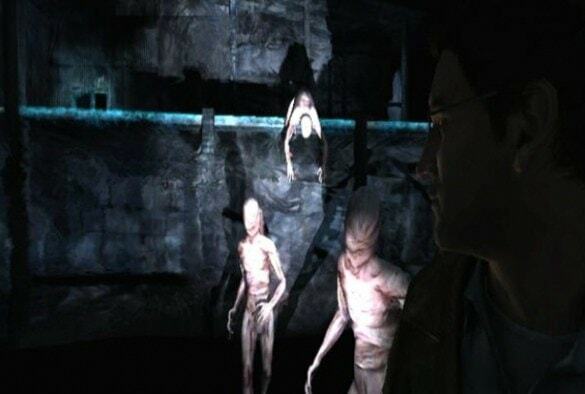 The Silent Hill games have been among the few survival horror games that have kept continuing. 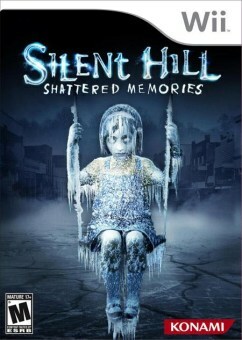 Konami carries on the franchise with Silent Hill: Shattered Memories which is the seventh instalment and also the first time in the series to appear on a Nintendo console. If you have played the very first Silent Hill, you will find that you are more familiar with the story for Silent Hill: Shattered Memories. This seventh instalment is not so much a remake, but more of a re-imagined version that plays differently from the rest of the series. The story begins like the first game where you play as Harry Mason. Harry wakes up from a car accident only to find his daughter, Cheryl, missing in a mysterious and creepy town called Silent Hill. The game’s story is told through a series of interactive cutscenes with a psychiatrist who asks you to do certain tasks, which then lead back into the game again. However, depending on the choice you make on certain tasks, your gaming experience will change. No two players have the same experiences playing this game as the game shapes itself towards your personality. For instance, if you find yourself looking at pictures of women on the walls, you will find that the women in the cuts scenes and in the game will appear sexier. Another example is when the psychiatrist hands over a picture of a house and asks you to colour in your perfect home. After doing this you go back into the game with the exact same colours you used in the picture earlier. The game is split into two modes. The first is the regular search and puzzle mode. The second is where you do nothing but run for your life! During search and puzzle mode you control Harry using the Nunchuk. The Wii mote is used as a torch throughout the game allowing you to manoeuvre Harry by pointing to the far left or right. As most of the game is set in the dark, the torch becomes the most useful item in the game. Silent Hill has a certain eerie and creepy feeling throughout the game. On occasion, it can make you jump as you encounter situations as the speaker from your Wii mote gives off strange noises. The Wii mote is also used as a phone, so when you receive a call, you have to hold the Wii mote up to your ear and listen to whoever is calling you. The puzzles are like every other survival horror, but more motion based, making good use of the controller. Thankfully the developers have thought about the game’s mechanics, so there is no ‘waggle’ whatsoever. You run through doors and hide under beds, inside closets to escape the nightmare. If the freaky creatures manage to grab hold of you, they will try to pin you down which will end the game. The only way to release yourself from them is to make ‘throw like’ gestures. These work really well. Waggle play doesn’t work for these situations, so you will really have to throw your arms to get it to work in the game. Once you have found the exit point of the nightmare the game jumps back into search and puzzle mode. I was very surprised to see a game like Silent Hill: Shattered Memories appear on the Wii. It’s one of the few games that actually try to look realistic and despite the limitations of the hardware, I feel the developers really did a good job of it. The game is unfortunately really short but can be replayed in different ways depending on the things you do in the game. The story is engaging and the nightmare sequences do have you at the edge of your seat. It’s just a shame it’s over too soon.